KenKen Support - Free Math Games That Make You Smarter! 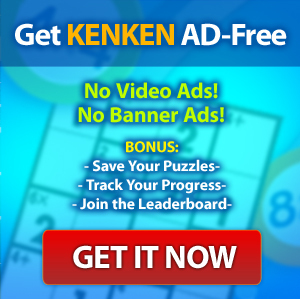 We love puzzles, but we never want KENKEN.com to be puzzling! Check our Frequently Asked Questions to see if your issue has already been addressed. (There are some questions that people ask us, well, frequently!) If you still have a question, comment, or concern, just click one of the email links below. We’ll reply as soon as we can! Thanks. Want KENKEN in your local paper? Email us with the name (including city and state) of the newspaper(s) or other publications you read, and we’ll contact them about running KENKEN.